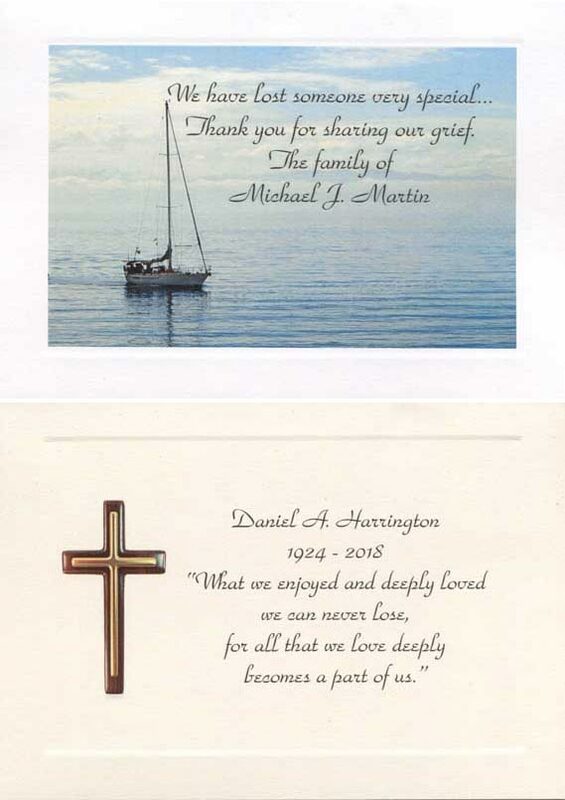 Customizable memorial cards with choice of symbol, photo, prayer, and graphic. 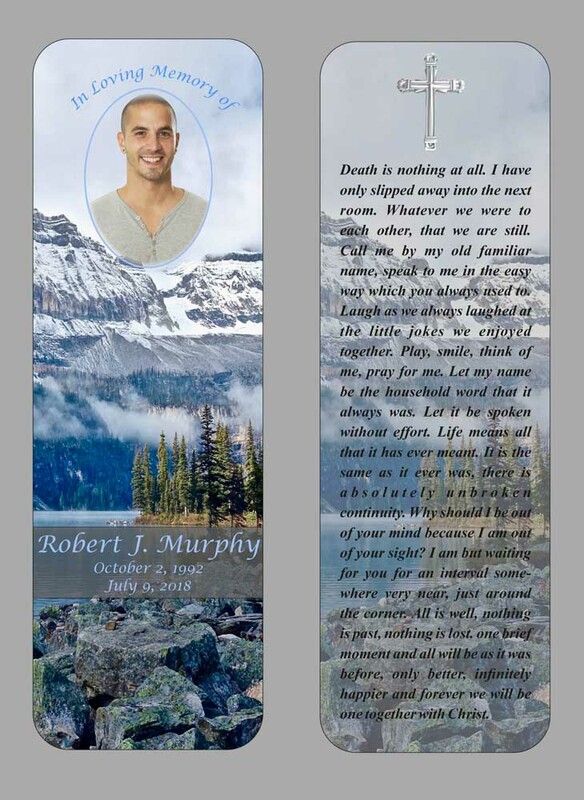 Bookmarks create a sentimental way for family and friends to remember a loved one. A simple way to thank those that offered their sympathies after the loss of a loved one. 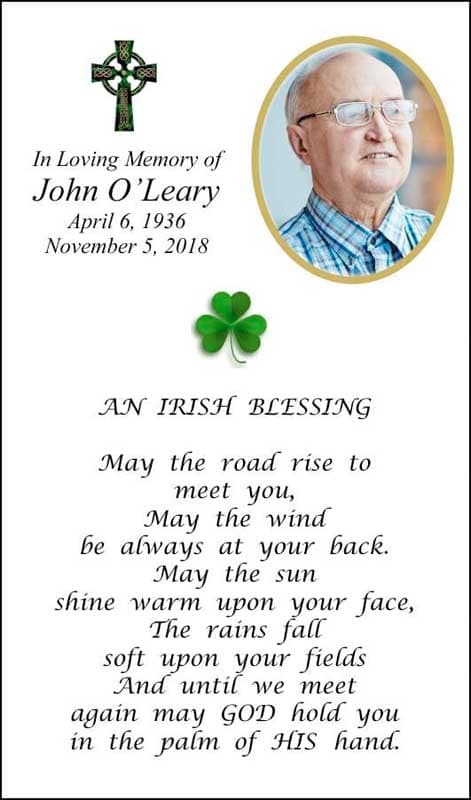 Over 100 memorial card designs, sympathy acknowledgements, and bookmarks. Choose from hundreds of graphics, prayers, symbols, borders, and more to make each card special. Same-day shipping and priority overnight delivery available from FedEx and USPS. Approved funeral homes can order cards directly on our website using our easy ordering form. We've been creating memorial prayer cards and related items for over 65 years and are dedicated to serving you. © 2019 M&M Printing. Website built by Company 50, a Rhode Island website builder.